Manoj Joshi to join the Narendra Modi biopic star cast: Vivek Oberoi's Narendra Modi biopic will be seen featuring Vivek Oberoi as the protagonist and reportedly the political figure Amit Shah will be portrayed by the versatile actor Manoj Joshi. Joshi has previously performed in several films including Dhoom, Bhagam Bhag, Hungama, Phir Hera Pheri, Bhool Bhulaiyaa among others. Manoj Joshi to join the Narendra Modi biopic star cast: Vivek Oberoi’s Narendra Modi biopic titled PM Narendra Modi will now see another addition to its cast. 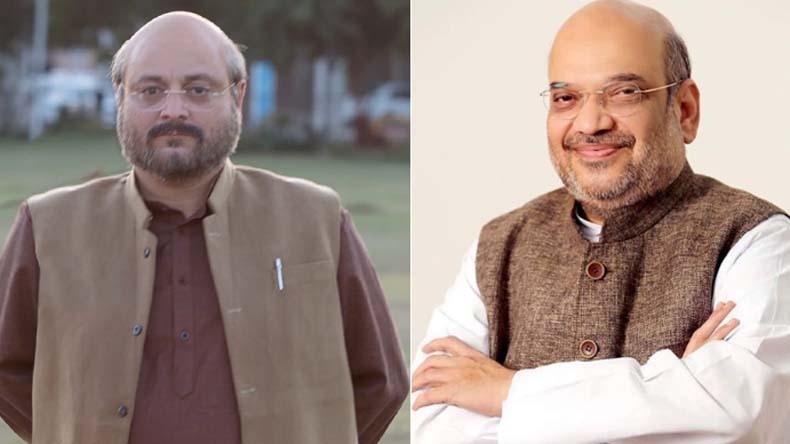 The movie, which will star Vivek Oberoi in the role of the Indian PM, has roped in Manoj Joshi for portraying the Bharatiya Janata Party president, Amit Shah who is popular for performing in box office hits such as Dhoom, Bhagam Bhag, Hungama, Phir Hera Pheri, Bhool Bhulaiyaa and many more. Reportedly Manoj, who had other projects in hands, immediately gave his nod to play the character in the film. In an interview, he said that it would be the first time he will be portraying a living person which he felt is exciting. He quoted that people are eagerly waiting for the biopic of the politician and he is glad to have been given the opportunity to impersonate Shah who is one of the most important characters. Manoj also disclosed that he keeps himself updated with the latest political news and called it important to be informed about the current affairs. When asked about his character, Amit Shah, the actor said that he is a good organizer and also talked about his preparations for the movie. The actor added that he had been listening to his speeches to know more about him have used prosthetics only when absolutely necessary to get the look right. The actor would be sporting different hairstyles in the film. Previously, Barkha Bisht was roped-in to portray PM’s wife Jashodaben according to the sources. Previously, the biopic of our former prime minister Manmohan Singh, The Accidental Prime Minister was brought to the floors which was, unfortunately, a box office failure. Prayed at Jagannath Temple in Puri (Odisha). Glad to see the energy and enthusiasm of BJP Mizoram unit at the booth level karyakarta sammelan in Aizawl. I am quite confident that BJP will win the forthcoming state election and Mizoram will soon see a corruption free, pro development government in the state.